Environmental sciences and engineering are the main pillars of environmental management (understood here as the whole set of practices, institutions, and infrastructures deployed to organize and rationalize the use of natural resources and to prevent the development of health and environmental hazards). They provide measuring and modeling instruments, design infrastructures, and elaborate technologies that fuel environmental policies and innovations. 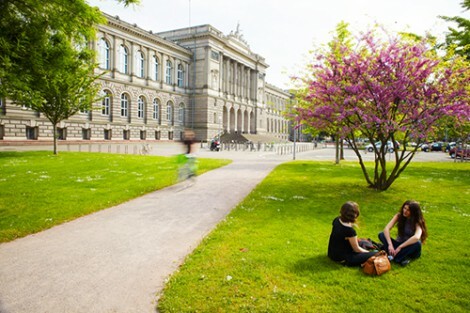 The aim of the course is twofold: On the one hand, it will provide students with elements of the history of the environmental sciences and geo- and climate engineering (from the 1950s up to current discussions); on the other hand, it will explore the multiple ways of how the environmental sciences and engineering enact environmental management. These courses are complemented by a course on methodology (8h). All courses will take place in February and March. The courses will be in English. The historical part (Dörries, 12h) will deal with the emergence of environmental sciences and environmentalism during the Cold War, and examine the links between military research on nuclear weapons and the environmental sciences, particularly the atmospheric sciences. It will also treat the more recent debates about climate change. Fleming, James Rodger and Vladimir Jankovic (2011) eds., “Klima,” OSIRIS 26. Hamblin, Jacob Darwin (2013), Arming Mother Nature. The Birth of Catastrophic Environmentalism (Oxford: Oxford University Press). Miller, Clark A. Miller and Paul Edwards (2001) eds., Changing the Atmosphere. Expert Knowledge and Environmental Governance (Cambridge: MIT Press). Weart, Spencer (2008), The Discovery of Global Warming, second edition (Cambridge, Harvard University Press). The second part will discuss four specific types of actionable knowledge, drawn from a wide set of diverse examples, and shed light on how these ways of knowing operate in four contexts: (1) environmental data production, (2) environmental modelling, (3) the politics of environmental indicators, and (4) the case of climate engineering. Session 1 – Environmental data production (Daniel, 4h) This course deals with environmental data production. It particularly focuses on the social processes of data collection, discussing the skills, management and standardization issues at stake that inform them. Examples from biodiversity and air quality data will be presented to illustrate the different issues for and constraints on environmental data collection. Lorimer, J. (2008). Counting corncrakes: the affective science of the UK corncrake census. Social studies of science, 38(3), 377-405. Lawrence, A., & Turnhout, E. (2010). Personal meaning in the public sphere: The standardisation and rationalisation of biodiversity data in the UK and the Netherlands. Journal of Rural Studies, 26(4), 353-360. This session deals with the elaboration and use of simulations in environmental management. Example from climate change and atmospheric modelling will be presented to address issues of accuracy and uncertainty in the construction of simulations. Lahsen, M. (2005). Seductive simulations? Uncertainty distribution around climate models. Social Studies of Science, 35(6), 895-922. Heymann, M. (2010). Lumping, testing, tuning: The invention of an artificial chemistry in atmospheric transport modeling. Studies in History and Philosophy of Science Part B: Studies in History and Philosophy of Modern Physics, 41(3), 218-232. Guillemot H. (2016). “How to develop climate models ? The « gamble » of improving parameterization,” in Cultures of Prediction in Atmospheric and Climate Science, M. Heymann, G. Gramelsberger, M. Mahony (ed.). Indicators embed specific compromises, particular combinations of negotiated norms, and scientifically produced nature based on metrology and modelling. They function in both scientific and political worlds, to align heterogeneous actions while remaining stable and rendering the future more predictable. In this course, we will discuss the production and use of indicators to govern the environment. We will also study the social and political implications of the commensuration processes involved in indicator production and use. Bouleau G., Argillier C., Souchon Y., Barthélémy C., & Babut M. (2009). How ecological indicators construction reveals social changes—The case of lakes and rivers in France. Ecological indicators, 9(6), 1198-1205. Bouleau, G., & Pont, D. (2015). Did you say reference conditions? Ecological and socio-economic perspectives on the European Water Framework Directive. Environmental Science & Policy, 47, 32-41. Espeland W. N., & Stevens M. L. (1998). Commensuration as a social process. Annual review of sociology, 24(1), 313-343. Fernandez S. (2014). Much Ado About Minimum Flows… Unpacking indicators to reveal water politics, Special issue on the hydrosocial cycle. Geoforum, 57, 258-271. Fernandez S., Bouleau G., Treyer S., (2014), Bringing politics back into water planning scenarios in Europe, Journal of Hydrology, 518, 17–27. Levin P., & Espeland W. N. (2002). Pollution futures: commensuration, commodiﬁcation, and the market for air. In: Hoffman A. J. & Ventresca M. J. (Eds.) Organizations, policy and the natural environment: Institutional and strategic perspectives, Stanford University Press, 119-147. Turnhout, E. (2009). The effectiveness of boundary objects: the case of ecological indicators. Science and Public Policy, 36(5), 403-412. Turnhout, E., Hisschemöller, M., & Eijsackers, H. (2007). Ecological indicators: between the two fires of science and policy. Ecological indicators, 7(2), 215-228. In 2006, the leading figure within the community of atmospheric scientists, the Nobel Prize winner Paul Crutzen, advocated geoengineering, the deliberate modification of the Earth’s climate. Disappointed by political failure to reduce greenhouse gas emissions, Crutzen painted catastrophic possible scenarios of global temperature rises of up to 5 °C within a few decades. Such exceptional circumstances, Crutzen argued, might require exceptional means to combat them. Since 2006, the possibility of geoengineering has been subject to vigorous debates among scientists. The IPCC as well as institutions, like the American Academy of Sciences, the Royal Society of London, and the French Agence Nationale de Recherche, have taken up the subject of geoengineering. The course will trace the main actors and arguments for and against climate engineering up to 2018. Crutzen, Paul J. (2006), “Albedo enhancement by stratospheric sulfur injections: A contribution to resolve a policy dilemma?”, Climatic Change 77, 211-220. Fleming, James Rodger (2010), Fixing the Sky. The checkered History of Weather and Climate Control (New York: Columbia University Press). Robock, Alan, “20 reasons why geoengineering may be a bad idea,” Bulletin of Atomic Scientists, 64, 2 (2008), pp. 14-18.